The University’s world-renowned fencing program brought student-athlete Alex Coccia to Notre Dame. 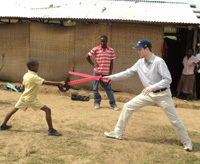 By the end of his freshman year, he helped bring fencing around the world—specifically, to a group of schoolchildren in Uganda. A year later Coccia, who minors in peace studies, returned to Africa, this time investigating the legacy of reconciliation in post-genocide Rwanda. 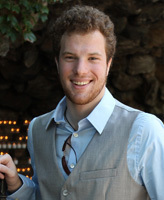 His experiences in Africa were supported in part by the Glynn Family Honors Program, a rigorous course of study blending the humanities and sciences. The program makes special seminars, field trips, and mentoring opportunities available to a select group of the most promising scholars of each incoming class at Notre Dame, and guarantees students at least one summer’s worth of funding to conduct original research. Coccia spent his first year on campus taking a series of small, seminar-style courses with the other Glynn honors students before selecting his own major and minor. Contemplating a topic for his senior thesis, Coccia spent time discussing his interests with faculty mentors and then decided to focus on an analysis of the Gacaca Court System in Rwanda. 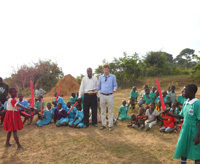 Coccia, who is also involved in the International Scholars Program in Notre Dame’s Kellogg Institute for International Studies, worked with a translator and conducted case studies and interviews in a small Rwandan community during summer 2012. Coccia is now working on turning this research into a senior thesis, with guidance from professors within his major and who teach in the Glynn program. Wrapping up his junior year, Alex Coccia already has his hands full as the University’s incoming student body president, but that hasn’t stopped him from thinking about his post-graduation plans. Regardless of where the next year takes him, Coccia says the relationships he built and the unique experience of the College’s Glynn program have given him invaluable tools. Originally published by Eileen Lynch at al.nd.edu on March 26, 2013.